David F. Sandberg Talks About Black Adam's Absence in Shazam! David F. Sandberg Talks About Black Adam’s Absence in Shazam! Three years before Zachary Levi was tapped to headline Shazam!, Dwayne “The Rock” Johnson was cast as the movie’s villain, Black Adam, in 2014. The script went through several changes over the next few years until Black Adam was dropped from the film in favor of Mark Strong’s Dr. Sivana. Since Black Adam is considered Shazam’s archenemy, an onscreen battle seems inevitable. But while speaking to ComicBook.com, Levi and Shazam! director David F. Sandberg explained why it’s better to save him for a later installment. Levi also chimed in with his perspective and echoed Sandberg’s remarks. 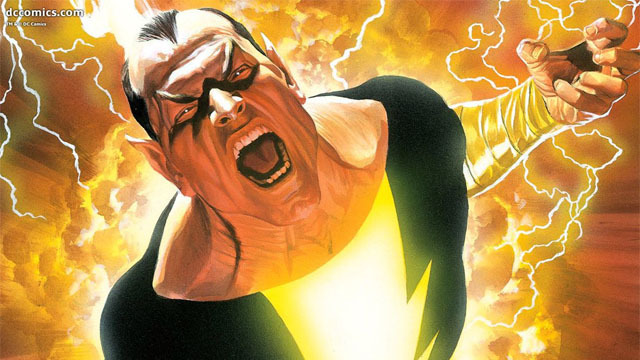 It was previously announced that Johnson’s Black Adam would also star in his own standalone movie at some point. However, there’s no indication when or if this will still happen. Do you think Warner Bros. made the right decision by saving Black Adam for a Shazam! sequel or his own movie? Let us know in the comment section below! Tags: Black Adam, David F. Sandberg, dc, Shazam, warner bros.